Haircuts may seem like a mundane, everyday occurrence and are likely not on your must-do list for your next vacation. 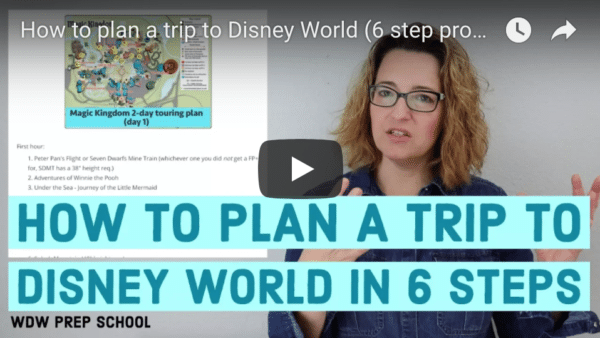 More than likely it is on your list of things to do at home in preparation for your next vacation so everyone is primped and looking their best in all those trip photos. But did you know you could get your hair cut at Disney World inside the Magic Kingdom? 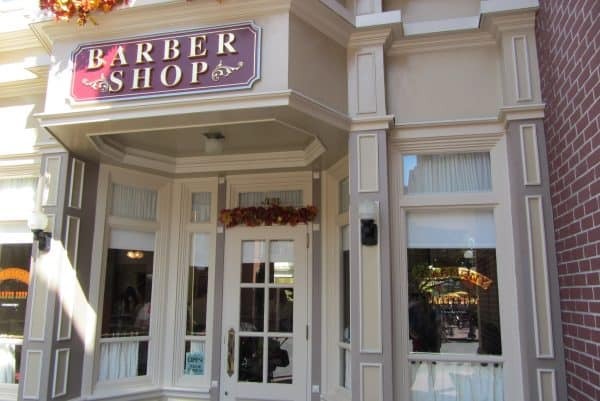 As you enter the park and stroll down Main Street, you may never even notice the quaint Harmony Barber Shop nestled between City Hall and the Emporium. For just $18 (child) or $19 (adult), getting a haircut is one of the few things in Disney World that is actually a pretty good deal. And if you see folks walking around the Magic Kingdom with a lot of glitter - I mean pixie dust - in their hair, this is probably where they came from. 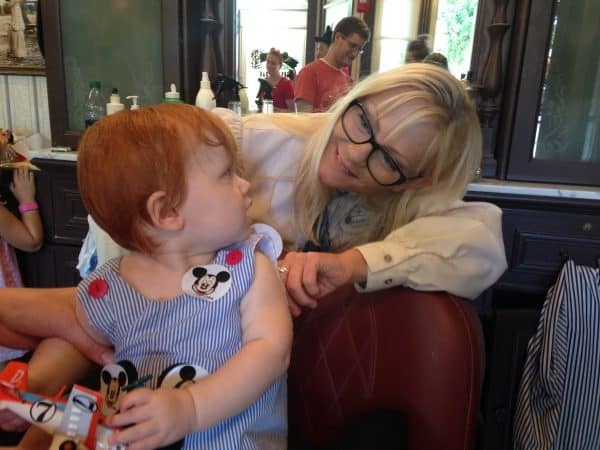 There is one other option on the Harmony Barber Shop menu - the My First Haircut Package - that we did last year for our then 10-month-old little boy, Perry. In addition to a haircut, the first haircut package comes with a printed certificate of bravery and a pair of commemorative Mickey ears that have “First Haircut” embroidered on the back. They even put a clipping of hair in a mesh bag for you to take home. A child’s first haircut is a big deal after all. How much does this first haircut experience cost? Just $25 – just a couple dollars more than the cost of the Mickey ears alone, if purchased at the gift shop next door. At 10 months, Perry was pretty young for a first haircut, but you can see from the before pictures that he grows hair well and was in dire need. The barbers that work there are wonderful. They are so friendly and so good at clipping little ones’ hair (and not their ears) and keeping them happy and distracted. Perry was nearly covered head to toe in Mickey stickers by the end of his haircut, and they had a never-ending supply of bubbles and toys to keep him entertained. Perry did great but was too interested in what the barber was doing to his head and kept turning around to look. I read online ahead of time that reservations can be made but walk-ins are welcome. When I called a few weeks out from our trip I was told by a Cast Member that they were totally booked out and that they would probably not be able to accommodate walk-ins. I was super disappointed but did not let that stop me from trying to walk in and get a haircut while we were there. We were going to be at Disney for a couple of days before leaving on a Disney cruise and getting Perry a haircut was pretty high on our priority list. The day we visited Magic Kingdom we had an early breakfast reservation, and immediately when we were done eating we walked to the barbershop and inquired about an appointment. They could not have been nicer to us. The Cast Member very apologetically confirmed there were no open appointments and that there was a long wait - an hour and a half. We had already decided that this was a priority and we would wait as long as it took (he really needed a haircut). Then they said we could go and explore the park while we waited and come back in an hour and a half. In my opinion that is an appointment - not a wait - but either way, it worked out wonderfully. I am sure they do not want people just sitting and waiting in the tiny barbershop with antsy children. So we went and rode Dumbo and did some other things, came back an hour and a half later, and they were able to cut Perry’s hair right away. And then with a few snips of the scissors, Perry no longer had hair in his eyes or the beginnings of a baby mullet. We had a little keepsake certificate and bag of his red locks, and Perry had his first set of Mickey Mouse ears. 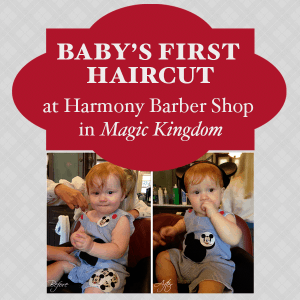 Whether it is a first, second, or two hundredth haircut, I would highly recommend the Harmony Barber Shop for a fun and off-the-beaten-path way to enjoy the Magic Kingdom. You can escape the crowds and take a step back in time in the old-fashioned setting, and if you get lucky you might also be serenaded by the barbershop quartet. It has to be the most magical haircut you could get. Thank you, Kelly! Perry is adorable and I appreciate you sharing your tips with us. I like that you mentioned calling in for your barbershop appointment. Some days can be really busy and it can save you a lot of time. Nobody likes waiting for 30 minutes for a 20 minute haircut. Just a tip: request a memory maker photographer to take pics of the event 🙂 We got the best pics of our little ones first haircut!! how did you that? are there photographers at the barber shop? YAY! My son will be 1o months old when we go, and he has a very similar hairdo right now! So glad we made this reservation for the first day of our trip! I’ve read tips that you can make an 8 a.m. reservation so you are able to get into the park before it opens (similar to 8 am breakfast reservations in MK). Can anyone confirm this? That would be a great and relatively inexpensive way to get into the park and experience Main St and get pics without throngs of people, plus a great memory. A great photo opportunity is to have the child inside the barbershop looking out the window. The person taking the photo is on the outside. I was told that they will also do little girls hair up in a bun and you can pick out accessories to put in hair which cost extra. Does anyone one know if this is true? All 3 of my kids had their 1st haircuts here. I loved it! Such a great experience! I would love to take my kids to this barber shop to get their first cut. It would be such a memorable experience. Thanks for sharing your experience about getting in. I think I’ll make reservations as far in advance as I can to make sure we get a spot. Thanks! We just got back from Disney a week ago. My daughter is 3 and got her first haircut at the Barbershop! We just walked in and had no wait! My daughter doesn’t have a lot of hair so I was worried, but Susan was our barber and she was great! She also made me happy by just cutting off a tiny bit and saving it for me. I loved our experience. And the prices have gone up, it was $25. But as a hairstylist myself, that’s still a great deal! We were at WDW in January when my husband noticed the barber shop. Our son who was just 4 was looking shaggy so we took him in. I have to just be honest…it was the worst hair cut he’d ever had. It was crooked everywhere. We went back the next day to show them this and they “fixed” it…which made it even worse. I will not make that same mistake again. We are so excited we have an apt to have our sons first haircut done on his first birthday at the Harmony Barber Shop next month. 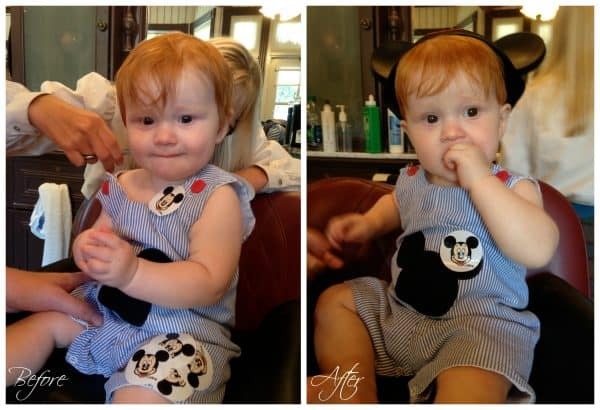 We had my son’s first haircut at Disney World in 2009. It was such a great experience for us! My son had his first haircut when he was 15 mths old in 2013. It was a reasonable haircut and the Mickey ears are a really nice touch. I had heard that some of the staff were a little on the cold side and I have to say that the lady that cut my son’s hair was not super friendly and certainly nothing like the staff in the rest of the park. However this was nearly two years ago now. When we had my daughter’s first haircut there, we went in at park opening as a walk up and we had to wait, and they had us wait inside. 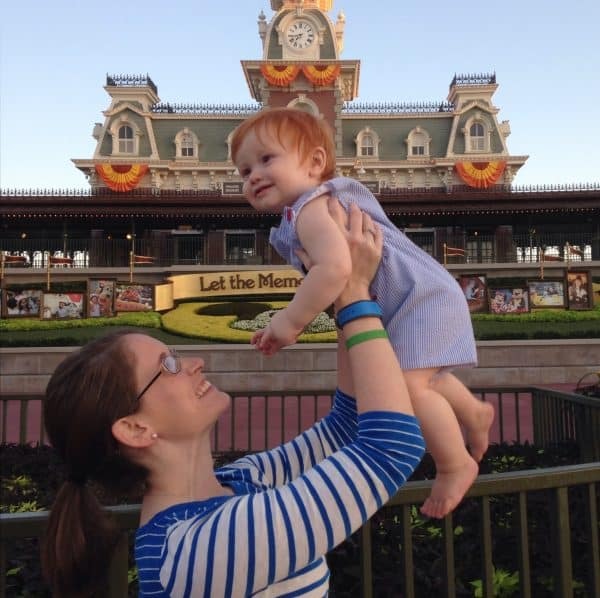 I love that her first haircut was at Disney and the price and goodies you leave with (and memories!) can’t be beat, but I was disappointed in how they handled us as a walk up. They said we would be taken whenever the first current customer was done. In the interim, a family with an appointment came in, so they went before us too – so even though we were told we were after the current customers, we were after the next customer also (which happened to be a family of 3 so it took a while). Kelly, our little guys were wearing almost the EXACT same thing for their first cuts at the Harmony Barber Shop!! How funny! Awe, that is so fun Chrissy. Sounds like a similarly amazing experience too! We took my son for his 1st haircut in January, and it was amazing! They did an excellent job, and he loves his ears and the certificate! Thanks for posting this! I made an appt for my infant’s 1st haircut and 5 year old daughter. Do you know of they offer anything else besides haircuts for the 5 year old? Maybe something “fun”? They can also do colored hair gel for $5. My son did that when he was about 5 years old. In doing research for this post I kept seeing conflicting information about whether they offer colored hair gel. It appears that at some point in the last couple years they stopped doing that because the supplier quit making it and they couldn’t find a suitable substitute. Would be interesting to know if any other readers have gotten that done recently. Oops. I think you’re right. They appear to do glitter confetti but not gel now. We just came back from a week at WDW and had our 2-year-old daughter get her first haircut there. The barbers confirmed that they no longer do the colored gel because their supplier no longer carries it.